I'm Here. I'm Queer. What the Hell do I read? 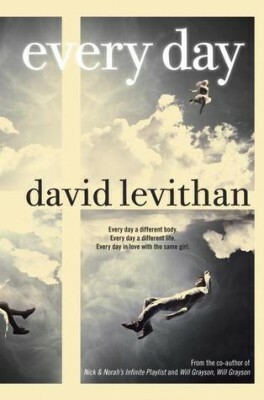 : Every Day - What Happens When You're A Different YOU Every Day? And what does that mean for Gender and Sexuality and Love? Every Day - What Happens When You're A Different YOU Every Day? And what does that mean for Gender and Sexuality and Love? Add your review of "Every Day" in comments! The plot makes you think about who a person truly is at their essence, and also creates a powerful conflict. On the one hand, I wanted Rhiannon and A to be together. And the storyline mostly leads you to the conclusion that bodies and genders are irrelevant and true love conquers all. But on the other hand, A and Rhiannon have no future because A doesn’t know what body A will wake up in tomorrow, or where, or what the circumstances will be. So A and Rhiannon never know if they will see each other the next day, and Rhiannon can never introduce A to her family or friends or have a full relationship with A. They seemed genuinely doomed. So I really was interested to see how this would resolve. I also liked the question of whether A was the only person in the world like this or whether there were others. I liked the way the story presented gender and how the main character A didn’t have one/had two. I also liked that one of the people that A embodied for a day was transgender, and that the character had a happy life and a nice girlfriend. I did notice there was a strong emphasis on how that character had the wrong body, wrong wrongitty wrong, and his body was a betrayal. This is the narrative I always read in YA about characters who are transgender and I want to know if this is the only one on offer because it’s really the only one there is, or if trapped-in-a-hatefully-wrong-body is just the simplest, most accessible story. If this book has a theme song, it is I Remember You by Skid Row. The first time I saw this book I thought it would be boring but I was hooked by the first page and fell in love with this book I recommend this book to everyone who have ever felt trapped in their own bodies.